Grant and his team did an amazing job replacing our windows and doors. Great Quality workmanship, brilliant attention to detail and they were incredibly clean and tidy . From start to finish Grant was a pleasure to deal with, informative, knowledgeable with a no pressure approach and very competitive prices. All in all a fantastic job and we are so pleased with the end result. Thanks! 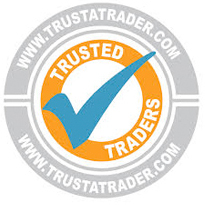 7th November 2014 "Couldn't be happier with our windows, excellent job, no mess left behind them and very friendly. I had quotes from a few companies and was ready to give up due to their extremely high prices and the salesmen's pushy attitude, thankfully I found IGlaze who put no pressure on us at all and helped us to choose the right windows/door for us (not just the most expensive like the previous companies who had been round) the finished product is excellent standard of work and looks great! Would highly recommend to all!" "IGlaze were recommended and in all aspects were excellent." "Grant was pleasant and efficient to deal with. His team have worked hard today to install new front and back doors. We're both really pleased with the finished product - happy to recommend iGlaze to others." "Very professional, approachable and prompt to reply to anything. We would definitely recommend them. Very pleased"